Whilst struggling with the conservation part, there was still fun to be had. 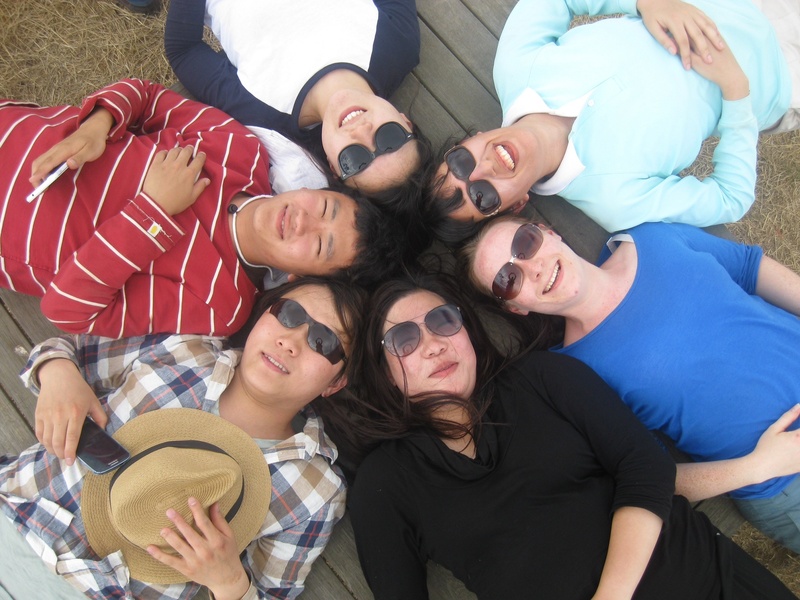 Time spent with Korean housemates proved enjoyable and now able to speak a little Korean, and having shared some englishisms, my week still held purpose and life lessons. On the Thursday we went to a quarry. I took upon it myself to ask lots of questions, and in so doing, learnt more about Australia’s native and non native species so that at least I was learning whilst I was weeding! I met an American Irishman living in Melbourne who was quite a character. Unsure how to take him at first I quite enjoyed his company and his good mood rubbed off on me. A Malaysian boy living in Australia provided good banter and compliments and had the most amazing scorpion tattoo. I wish i had taken a picture! At 39 degrees, we finished early and headed up to the top of the hill to look back at the view of Melbourne. Impressive. Team leader Andrew facilitated an excellent group photo, which is one of my fave pictures so far. Good day had, it felt like progress had been made. Today we went to help the tree project clean out new premises where they will be building an 8m tall tree to commemorate the 2009 black Saturday bushfire, one of the worst fires in Australia’s recorded history, killing nearly 200 people. Leaves forged from blacksmiths from across the globe, it puts everything into perspective. Whilst we diverge from conservation aims, it was interesting to be involved in part of its journey and I will be interested to see the final result. On return to our abode, a chat with staff made me feel much better. ‘Jal ga’ said to companions moving on and ‘annyeong’ to new ones, banter was had over a couple of drinks. With high hopes for the week ahead, and a new place to explore in Hamilton, I hope it will be a good week.